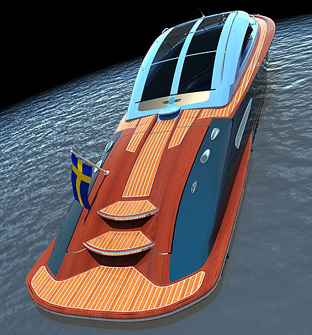 The Prima Donna 40' from Swedish boat builders Strand-Craft is a retro runabout / megayacht tender with classic styling and modern technology. 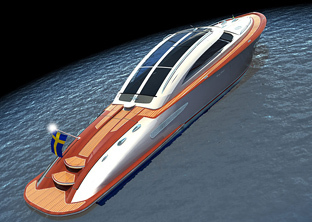 Powering the 40 foot (12.1 metre) Prima Donna are a pair of joystick controlled 300 horsepower Volvo Penta D4 diesel engines. 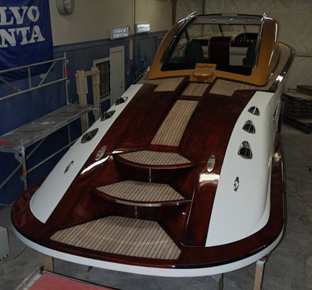 This setup provides for a 45 knot top speed. 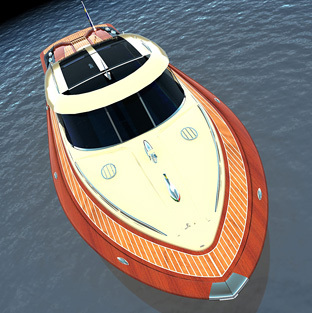 The Strand-Craft Prima Donna features high-tech composite construction with luxurious mahogany and teak decking. 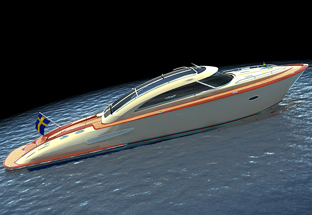 All electrical units aboard the Prima Donna 40' can be controlled through SMS text messages from a mobile phone.